Music writer and Hip super-fan Michael Barclay gives a detailed account of the band's storied life in The Never-Ending Present. In The Never-Ending Present, music writer Michael Barclay chronicles how five high school students from Kingston, Ont., became Canadian music legends. The Tragically Hip, fronted by the late enigmatic lyricist Gord Downie, sold more than eight million albums and won 16 Juno Awards over their storied career playing songs about Canada. In his own words, Barclay shares some stories from the year he spent writing The Never-Ending Present. "The first time I saw the Tragically Hip was at a park in Barrie for a radio festival on Canada Day in the late 1980s. They were playing at around 1:00 p.m., early on the bill, and nobody knew who they were. And yet, they were riveting. "They had a front man that you couldn't take your eyes off of. I liked watching Johnny Fay as a drummer — just super intense. They stood out because they were very raw at a time when rock 'n' roll was not very raw. A lot of the best rock bands just sounded very sterile and this band was a total shot of adrenaline." "During the summer of 2016, Gord Downie became more famous than he ever had been. People who didn't like the band's music now knew who he was, what he was going through and what he stood for. But I didn't see a lot of stuff that examined why we cared about him in the first place. There was a rich body of work and a rich contribution to culture that had never been seriously examined. I wanted to put this band in a larger context, and not just tell their story chronologically. "Every second chapter in the book is thematic. There's a chapter about Gord Downie's poetry, and whether or not lyrics are poetry. There's a chapter about American success, or lack thereof, and what that means for Canadian acts. I also wanted to talk about what it means to get old in rock 'n' roll. How do you get somebody interested in your 12th album? How do we take artists for granted in this country? "Those are all themes that I wanted to to bring into this book, so that it wasn't the story of one band. I wanted it to be a cultural conversation." "The Watch That Ends the Night by Hugh MacLennan. Popular Canadian novelist of the 1950s — one of the first Canadian novelists to set their novels in Canada. Gord Downie quotes a line from The Watch That Ends the Night in the third verse of Courage. He lifts it almost verbatim from the text, just modifying it slightly to fit into the rhythm of the song but it still doesn't fall within a rhyming meter or anything. It's an odd verse in popular music, especially to have 40,000 people singing it. "I always knew that verse came from MacLennan. But when I read the novel, I was surprised by how prescient it was about death and about Canadians in an international sphere. 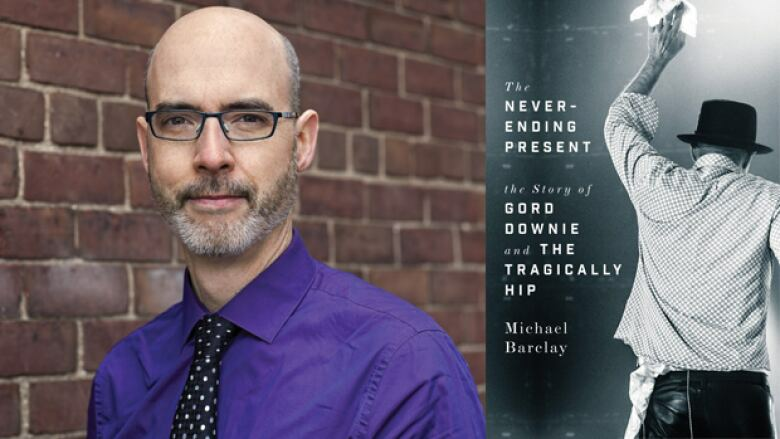 I ended up quoting a lot from that novel throughout my book because there's so much in that novel that speaks to elements of the Tragically Hip's story. Obviously, Gord Downie would not have expected that because that song appears on a 1992 album. It's a brilliant book and I highly recommend that everyone read it." Michael Barclay's comments have been edited and condensed.